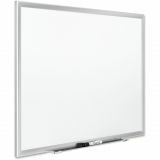 8' x 4' whiteboard size. 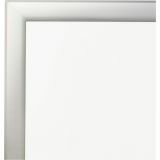 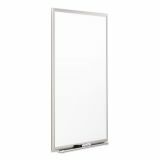 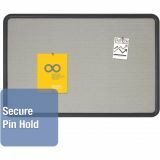 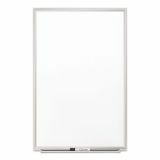 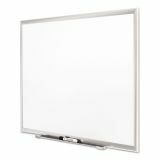 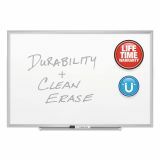 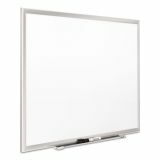 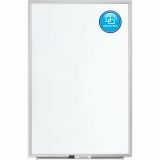 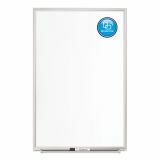 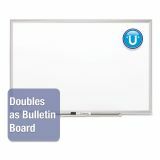 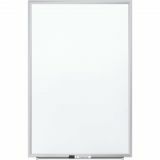 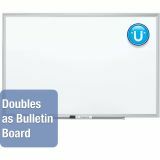 Quartet Classic Series Porcelain Magnetic Board, 96 x 48, White, Silver Aluminum Frame - Built to last, porcelain marker board features a magnetic surface that will not stain or ghost and a satin finish anodized frame. Durable porcelain will not scratch or dent with heavy use. 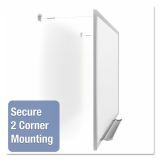 Mounting system makes hanging simple and allows horizontal or vertical positioning. 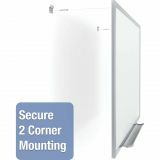 Marker tray can be attached with horizontal installation only. 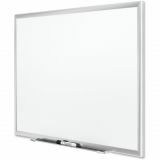 Marker board includes four Quartet dry-erase markers. 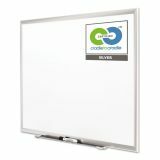 Cradle to Cradle Silver certified porcelain, certified for material content, recyclability and sustainable manufacturing processes.